Nepal offers a 500-foot jump over a tropical gorge in the Himalayas of Nepal along the Tibetan border. The Bhote Koshi, one of Nepal's wildest rivers, rages below the steel suspension bridge that was specially designed for bungee jumping. The Swiss design can hold up to 4.5 tons of weight and is 545 feet wide, so there's no need to worry about your safety (at least not before jumping...) The dense jungle and pristine forest surrounding the cliff top gorge offer a spectacular view, which many consider to be one of the most beautiful in the world. 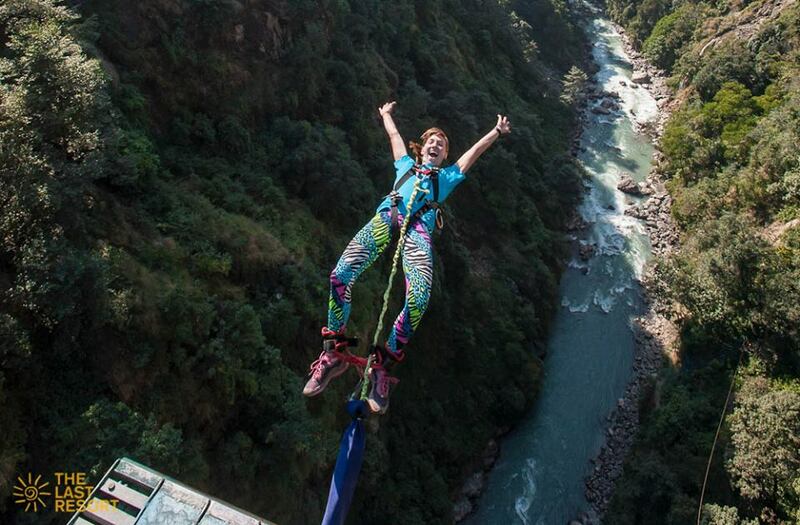 Bungee Jumping : If you thought bungee jumping was restricted to some places in Europe, New Zealand and America, it's time you got an update. The sport has finally found a natural home in the highest mountain range in the world. The ultimate thrill of a bungee jump can now be experienced in Nepal at perhaps the best site in the world.